Loved this little bowl sink. Perfect for a 1/2 bath. 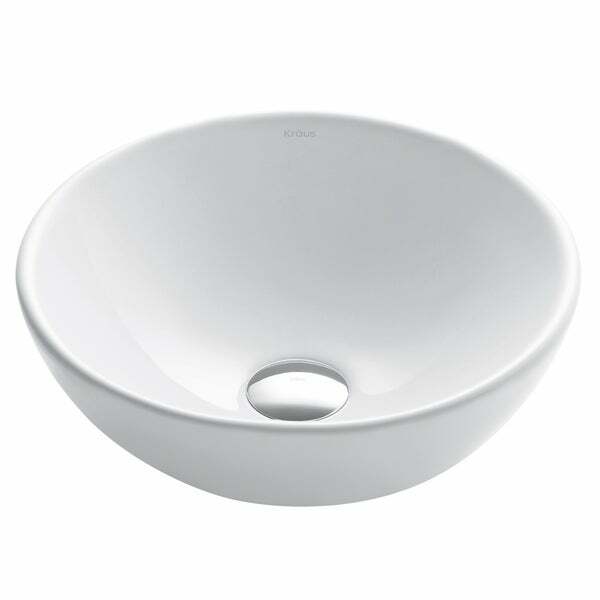 Update your bathroom with the clean look of a KRAUS Elavo Series ceramic sink. The versatile design features a premium baked-on glaze for a high-gloss finish that's easy to clean, and complements any décor from classic to contemporary. Dimensions 17.0 In. X 17.0 In. X 9.0 In. This small round sink fits perfectly on my 32"x19" antique dresser/bathroom vanity, leaving plenty of space for other needs. Love it! 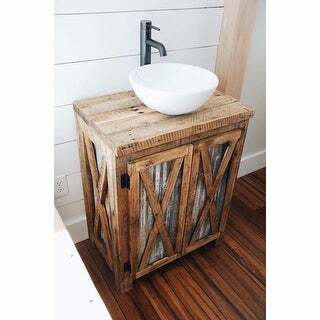 Great quality, looks beautiful with custom made vanity. Would highly recommend this sink! For the price I'm very pleased. There were a lot of white ceramic sinks out there and I didn't understand the price. When I found this I figured I'd receive a less than satisfactory item in the mail, but I was very happy. It has good weight, the right size for a smaller vanity, and came in good packaging with no scratches or chips. This since is a great value and quality. Product as pretty as picture. Very pleased. "What is the depth of this sink? The only dimension given is 13.7"
This item is approximately 13.7 inches diameter x 5.5 inches deep. Perfect size sink for my situation, wanted vessel sink yet most are 16+ inches. I choose this sink since it was more compact yet deeper than most bigger sinks. Clean and refined!